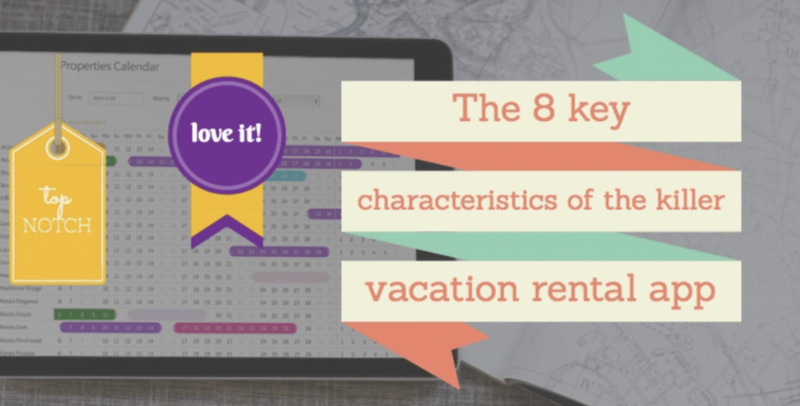 Thank you to our friends at Orbirental for this blog posts on the 8 key characteristics of the killer vacation rental app! For all newcomers in the vacation rental space, finding the right software to manage their business is no easy task. First, there is a plethora of older, monolitic applications available. Although considered as outdated per today’s standards, they have benefited from years of continuous improvements and practical use cases, making them interesting from a managerial standpoint. On the other hand, most of them have outdated interfaces. They have not been updated to interconnect the latest and greatest apps available today. Second, there is a new generation of applications, mostly online apps, that have been built essentially with the objective of letting vacation renters market their property. Most of those applications have considered lead management as a afterthought and are not optimised for interconnectivity with other internet services. Making an application intuitive is more an art than a science. Intuitive apps are just simple to use, their complexity is handled under the hood, and users are just guided through their alternative options with a clear and logical flow. In his book “Don’t make me think”, Steve Krug explains how to enforce simplicity. Using a few simple rules: omitting needless words, using clear visual hierarchies, making what’s clickable obvious etc. Apps which lack intuitiveness tend to dump all possible options on users, letting them with the burden of figuring out how to perform specific tasks, how to set up their environment without help or giving unclear indications about what tasks need to be performed before other ones in order to get the flow working for them. As the saying goes: “there’s only one chance to make a first good impression”. Making a service easy to onboard has multiple benefits. First it gives user a good initial feeling about what’s coming next. If the setup is easy and intuitive, then there’s a good chance that the rest of the app will be. Second, it allows users to try the app without investing too much setup time upfront. Nowadays, with the plethora of apps out there, the ones with a complex set up have a high chance of losing users during the flow and before they even get a chance to get to the key benefits. To make matter worse, many vendors provide no initial product page and require that you talk to a sales person in order to sign up. Moreover, those are poorly thought out onbloarding flows. To the contrary, modern and well conceived products will simply list their key benefits and allow users to either try the product themselves or log into a demo version of the product. As you spent months or even years using a service, you provide this service with a lof of your own business data. Many vendors will enforce what is called “vendor lock-in”. This makes it very hard (if not impossible) to export your data into another app (and de facto, forcing you into staying locked into their app). Good modern apps, built with confidence, will let you take your data somewhere else if you decide to do so. This essentially shows they don’t fear competition and will try to prevent user churn by providing more product value. So always check if/how you can export your data before making a decision to commit your business data to a specific vacation rental application. If you have not heard the term “API” or “Application Programming Interface” before, this is what we’re referring to here. APIs are ways for an application to interconnect with other applications and be programmed remotely. In the vacation rental space, some of the older apps like Escapia, provide a monolithic approach and try to integrate all the functions into their apps (like mailing, CRM, accounting etc). On the other hand, best-of-breed apps provide a modular approach and allow for plugging to external services via APIs. The latter option ends up providing a much stronger value proposition to vacation rental managers. By providing extensibility to their solution and handle those secondary business activities using their preferred apps. Adaptability of your software is key to keep your business growth smooth. First of all, a good application will not force your business to have a minimal amount of properties to manage. This means that you can start using the product and optimise your processes organically and progressively. Second, as you business grows, a good product will incrementally provide new tools or APIs to help you scale the activity, at a price which is not prohibitive but rather increasing at increments that are fair in relation to your growing revenue numbers. As mentioned above, older and monolithic applications do not typically provide the kind of organic evolution required to get your vacation rental business connected in the evolving ecosystem that surrounds it. On the other hand, modular and cloud based modern apps are built from the ground up. They interconnect with other subsystems, externally enrich their dataset and provide ways to be plugged to any other apps via open APIs. Those of you familiar with cloud-based software development will also appreciate the “continuous integration”. Typically provided by best-of-breed online software: this relates to the nature of an application which continuously evolve. This is based on user feedback and new innovative opportunities brought through the online ecosystem. Vendors providing this flexibility work through a process called “agile development”. This is a principle of development made of quick iterations and improvements, making their solution continuously innovative and evolutive. A few things are sure in life, death, taxes, and problems with the software you rely on. There are many reasons why you’ll need support at some point. Some of these are issues with a poorly documented feature, disappearing data, application offline being updated when you need it most. A great support team nicely complement great products. They get back to you right away, they fix issues fast and accurately. Best of breed apps nowadays even provide direct chat channels such as Olark for immediate assistance. We have listed some of the characteristics that make great moderns apps. The kind of solutions that are affordable, easy to understand, that nicely adapt to your business size and specificity. They ultimately allow you to spend your valuable time growing your activity and caring about your customers. Now, there’s one key element that differentiates good from great software: the application workflow. This is the touch of magic that can give you the ah-ah moment. A moment where you experience a visualisation of your own business data in a way that get everything to make sense, every piece of data interconnects and going from one state to the next in your business process just naturally and gracefully flows. This type of unique user flow only happens when people with a lof of experience in a specific business area build software from the ground up with the help of savvy tech people with a lot of product experience. In addition, it is always hard to build a great application workflow after the fact. Once all the building blocks are built, without having to re-write the whole thing. 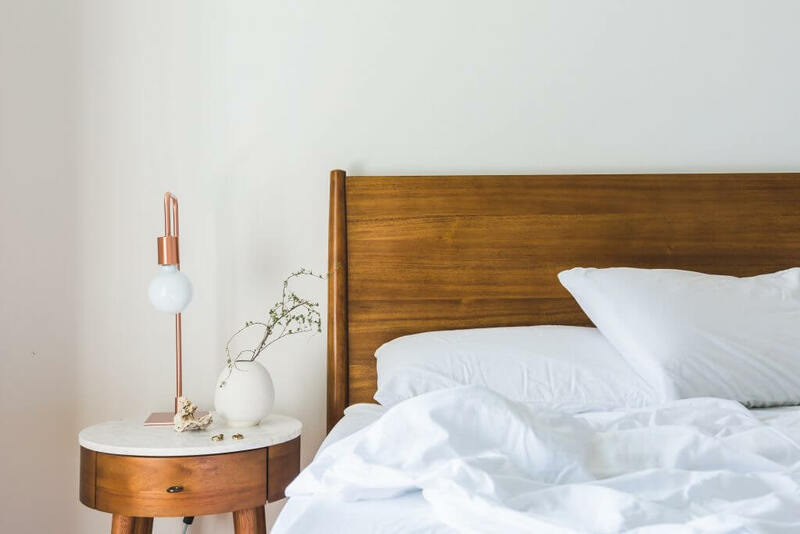 Launched in 2016, incubated by RocketSpace and backed by Acceleprise, Orbirental provides an innovative and open technology platform that automates vacation rental companies workflows, helping them focus on hospitality rather than operations. We, at Orbirental, have tried to bring all the constituents of what makes a great application in the cloud service we recently launched. But we’ll let you be the judge. Feel free to try us and give us your feedback, either through comments here or by email at blog@orbirental.com.